The acoustic guitar has over 5,000 years of history attached to it and the origins could be traced back to stringed instruments used by the Indo-Europeans. In the medieval period, an instrument known as the Guitarra Latina was invented. In 1779, an Italian named Gaetano Vinaccia invented the first six-string guitar and a man named Antonio de Torres Jurado made changes to it that basically turned the acoustic guitar into what it is today. A lot goes into the construction of an acoustic guitar. After many cuts and some shaping, a neck is constructed and then tuner holes are drilled. A body has to then be shaped. It’s an extensive process that requires plates, braces, and lining to be shaped and applied to the inside. Once the body is complete and assembled, the neck is attached and then the guitar is strung. Like any instrument, its construction has to be nearly perfect. Skilled musicians will be able to hear flaws in an instrument from the moment they start playing it so the quality has to be consistent. Martin, in particular, is known for its quality control and precise detail which is why it’s a popular and one of the most well know brands of guitar and is used by some of the most famous names in music. Bob Dylan, Jimi Hendrix, George Harrison, Sheryl Crow, Paul McCartney, Elvis Presley, Johnny Cash, and Willy Nelson have all used Martin guitars. Martin is also known for the longevity of its instruments. While a Martin acoustic guitar is of a high quality, its strings are also designed to last quite a while. For instance, the Martin Phosphor Bronze has strings made from an alloy that gives it clarity and extends its longevity past that of typical strings. What wood is used to make a guitar? Almost always, rosewood is used for the backs and sides of Martin acoustic guitars. It’s so dense that it provides a good end bite that sounds almost like a piano. The Martin D-18 is composed almost completely of rosewood. Meanwhile, spruce wood is used because it vibrates when it’s played and as the wood ages, the sap hidden inside it crystallizes, giving off a very bright wood. While ash is sometimes used, cedar is really the only other alternative for guitar tops. Its red color adds a distinctive flair to an acoustic guitar. 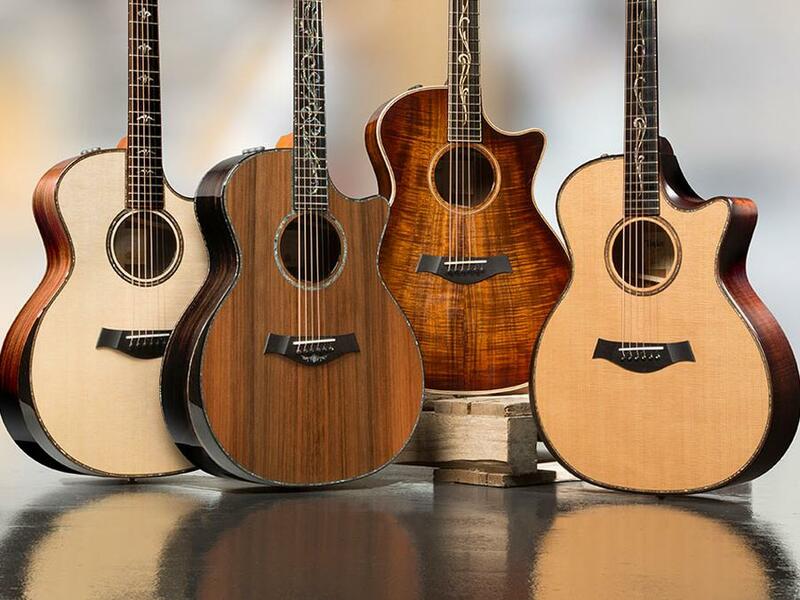 Many acoustic guitar models have earned themselves good names. For instance, the Takamine C135 is considered a good guitar for people just learning to play. The Jasmine S35 Dreadnought is for intermediate pickers. The best acoustic guitar for beginners, however, is definitely the Seagull S6 which is not only easy to get used to, it’s considered a top quality guitar. Previous PostWho invented Steam Power? Next PostWho Invented the Insulin Pump?